Smart Africa and the African Advanced Level Telecommunications Institute (AFRALTI) have signed a historic agreement to build human and institutional capacity in the Eastern and Southern African region. In the agreement, Smart Africa, through its scholarship fund, will sponsor thousands of students from the mentioned regions to study at the AFRALTI. AFRALTI will also offer support in the development of capacity building, training, consultancy in ICT. The key areas of focus are Telecommunications (Radio Access Networks, Wireless Transmission and Fibre Optics), Networking infrastructure (Data Communications, Distributed Computing, Network Security, amongst others), Emerging technologies (5G, Big Data, Internet of Things, Artificial Intelligence, Machine Learning, Blockchain, Cyber Security and Forensics). Others will take regulatory training in spectrum management and postal and courier services. Another area of partnership is the support in establishment of innovation hubs that will address gaps in aligning technological requirements by governments in Africa to the innovations pioneered by the private sector through provision of workspaces, tools and training of budding innovators. 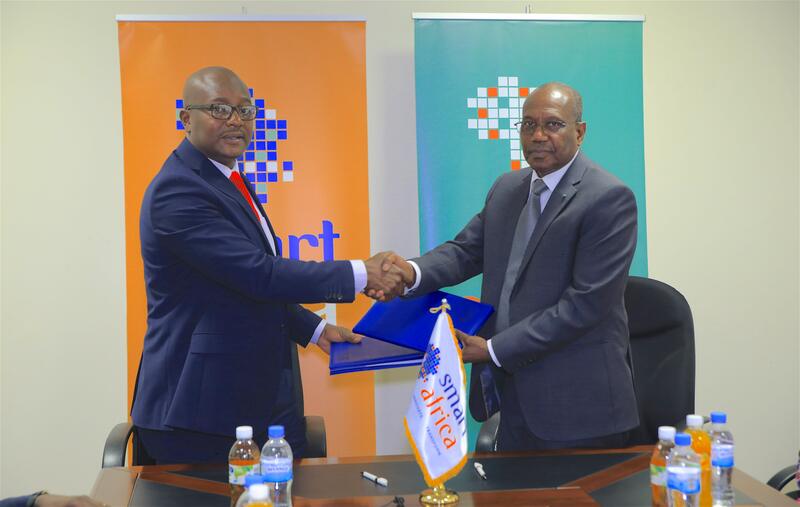 AFRALTI’s Director, William Baraza, who was in Kigali yesterday at the Smart Africa Headquarters to sign the agreement, said that this collaboration will ensure Africa remains the leading cog in the wheel of the 4th Industrial Revolution that is unavoidable and here with us. 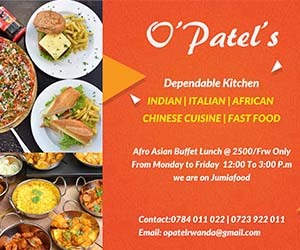 Since its establishment over 30 years ago, AFRALTI has been the place to go for cutting edge telecommunications and technology training for many of the professionals across Africa. Baraza added that, most of the current and previous leaders in technology and telecommunications have been trained at AFRALTI, and “we want to change Africa’s narrative through innovation”. “This is a good occasion, because we want to mold and nurture young African talents. And we want to remain as an accelerator for the outside world markets,” he said. Smart Africa Executive Director, Dr Hamadoun Touré, told Taarifa after the signing of the historic MoU that he is confident that AFRALTI will complement the work that Smart Africa has undertaken, especially in the area of capacity building in Southern and Eastern Africa. “Smart Africa strategic vision is to transform Africa into a single digital market. In doing so, our major pillars are underlined by capacity building, innovation, communications and advocacy, and resource mobilization. It is clear that AFRALTI will complement the work that Smart Africa has undertaken, Dr Touré. Launched in 2013 by seven (7) African Heads of State, the Alliance has grown to 24 Member Countries and dozens of Private Sector and Academia members including Inmarsat, Ericsson, Econet Liquid, Huawei, CIB, MTN, Tata Communications Transformation Services, Microsoft, Orange, Facebook, Carnegie Mellon University Africa to name a few. Its founding members include the African Union Commission (AUC), the International Telecommunications Union (ITU), World Bank, African Development Bank (AfDB), UN Economic Commission for Africa (UNECA), African Telecommunications Union (ATU), New Partnership for Africa’s Development (NEPAD), the GSM Association (GSMA) and ICANN. The scholarship Fund receives about $200,000 from each member state. AFRALTI will set criteria for eligibility. The MoU goes into force with immediate effect.